Michael joined Watsi on May 11th, 2017. 16 other people also joined Watsi on that day! 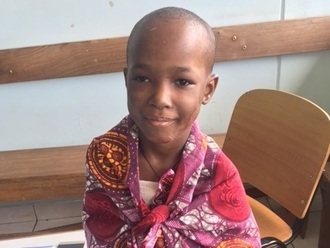 Michael's most recent donation supported Gaudioza, a young girl from Tanzania, to fund burn repair surgery. Michael has funded healthcare for 4 patients in 4 countries. Meet Gaudioza, an eight-year-old girl who lives with her family in Tanzania. Her parents run a family farm and also harvest beans and rice. Gaudoiza enjoys taking care of her younger brothers. In her spare time, she likes to watch TV and listen to the radio. Her mother says that she believes her daughter wants to become a doctor when she grows up. Gaudioza has developed deep third-degree burns on the left side of her body as a result of an accident in which her dress caught on fire. She was burned on her chest, arm, and thigh. She requires surgical debridement of all wounds and skin graft surgery. Our medical partner, Mission Restore, has arranged for Gaudioza to begin surgical treatment for her burns on March 28. To cover the costs of her surgery, hospital stay, medication, and post-op care, Gaudioza needs help to raise $1,376. Let's help Gaudioza recover from her injuries so that she can grow up and pursue her dreams of becoming a doctor. Kid is a nine-year-old boy living in Burma who has a left clubfoot. Kid was born at home with the help of a traditional birth assistant. He has had a clubfoot since birth, but his parents were unable to find treatment for him. In 2016, one of the teachers from the local boarding school visited his village and noticed Kid’s clubfoot. Being familiar with the work of our medical partner, Burma Children Medical Fund (BCMF), he advised Kid's parents to be seen at BCMF for further evaluation. Clubfoot is a congenital foot abnormality in which the foot is twisted out of shape or position. As a result, the tendons in the limbs are shorter than usual, and further complications of limited movement and stability may occur. When treated early enough, clubfoot can be corrected with physical therapy, but after a threshold of development, orthopedic surgery is necessary. Kid's surgeon would like to have an additional CT scan to evaluate his treatment plan for Kid's clubfoot. The imaging must be done at the nearest hospital, but Kid's family is unable to afford the travel. The total cost of the imaging and travel is $469, and Kid's appointment is on March 30. Following his CT scan, Kid's surgeons will be able to continue planning for surgical intervention for his clubfoot. Kid says, "I want to be able to walk better." Jenelyn is a playful 13-month-old girl from the Philippines. She lives with her parents and four siblings in a remote area on Palawan Island. Her father farms cashew nuts, but his income does not meet the family's basic needs. They do not have access to electricity at home, and they obtain their water from a deep well. Jenelyn has been diagnosed with moderately acute malnutrition. Malnutrition threatens her growth and development and could even be fatal if not addressed. 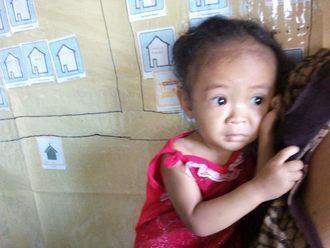 Fortunately, she will begin $184 malnutrition treatment on February 22. Jenelyn will be treated by International Care Ministries (ICM), a Watsi medical partner. One out of five children under five in ICM communities is either severely or moderately malnourished. Worldwide, poor nutrition is associated with nearly half of all deaths in young children. In remote communities and urban slums of the Philippines, the lack of clean water and unclean environments add risk to potentially fatal childhood diseases. ICM’s home-based feeding program provides nutrient-enriched food packs to ensure malnourished children get additional food to regain normal weight and achieve optimum physical and mental development. After identifying a child as malnourished, staff and community volunteers make weekly visits to monitor this child’s progress. To help sustain the health of the child, ICM’s professional staff educate the mother, guardian, or other family members about proper nutrition, sanitation, hygiene, and organic vegetable gardening. Jenelyn's mother says, "I am very thankful and excited because Jenelyn was selected to be part of this feeding program. I am looking forward with the positive results it will bring to my daughter. I hope she will be healthier and smart." 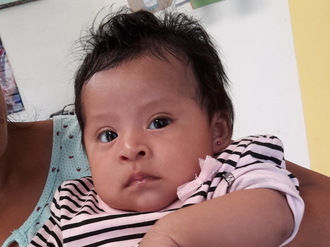 Claudia is a friendly two-month-old baby girl from Guatemala. She lives with her parents and siblings. Her mother takes care of the household, and her father supports their family as an agricultural day laborer. Claudia has been diagnosed with malnutrition. Her mother is unable to produce breastmilk, a condition known as lactational failure. To stabilize her condition, Claudia was given a preliminary supply of formula, but will need more to grow healthily. Beginning on March 23, Claudia will receive nutritional supplements at our medical partner's care center, Clinic Miller. Our medical partner, Wuqu’ Kawoq, is asking for $1,162 to cover the cost of Claudia's nutritional supplements. Funds will also go towards an educational program that will teach Claudia's mother how to create a nutrient-rich diet for her using limited resources. “I want my daughter to grow healthy and be big so that she will be able to study and graduate," says Claudia's mother.